Official Results. 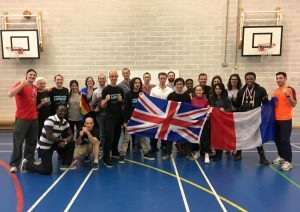 London Savate International Open 2018. Saturday 9th June 2018. 9am-6pm. London Nautical School, Stamford Street SE1 9NA. 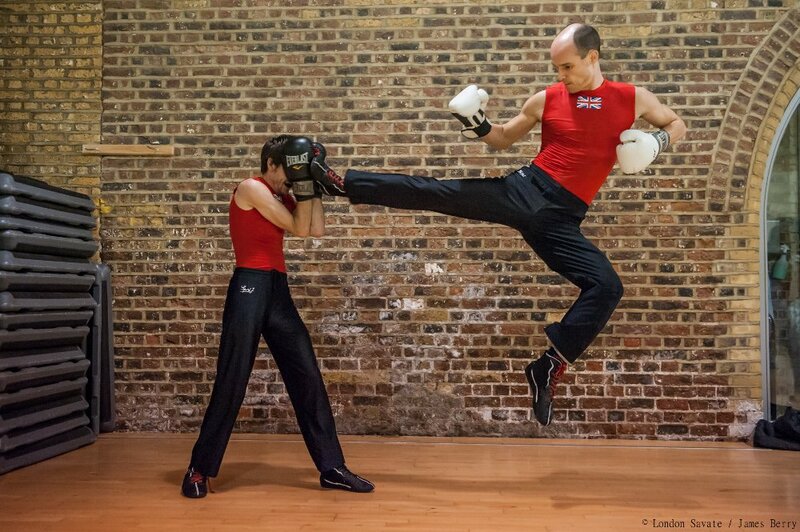 We welcome Savate clubs from around the world back for another London Open in summer 2018! Last year over 70 athletes from the UK, France, Ireland, Finland, Germany, Japan, Hungary battled it out. Who will you meet this time? Individual registration on the form below is required for ALL athletes. Midnight on Sunday 27th May. 19:00 Party on the Southbank. You want your friends to see you fight, right? Spectators and friends get a day of fantastic sport, the chance to cheer ringside, music, refreshments, fun. Spectator Tickets are £5, or buy 4, get 1 free. 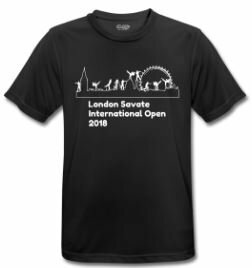 Event t-shirts are available to order in advance. London Nautical School, Stamford Street, London SE1 9NA, walking distance from Waterloo, London Bridge or Blackfriars train station, and Southwark underground station. – From Eurostar. From St Pancras, take the Northern Line to London Bridge and walk along Stamford Street (20 minutes). – From Gatwick Airport: take the train to London Bridge (30-60 minutes) and walk. Or to Victoria Station and take District/Circle line to Blackfriars. – From Heathrow Airport: take the Piccadilly Line, change at Green Park, take the Jubilee Line to Waterloo/Southwark. (About 60 minutes). – From other airports: take the train to central London and change to the underground. Feel free to send a message to advise on best routes. Contactless debit cards are the cheapest and quickest way of paying for the London underground. We regret we do not have the resources to organise accommodation for attendees. Transport within the city is easy, if expensive, so a hotel or airbnb within zone 4 would likely be okay. – Athletes need to be registered using the Registration Form. – To cover hall costs, the entry fee is £15 for fighters, £5 for spectators. – Bouts will be held under Savate Assaut international rules as given by FISav. – The decision of the DO in any matter regarding the progress of bouts is final. – Bouts will consist of 3 x 1.5 minute rounds, with 1 minute rest. – All bouts will take place on mats. – Safe and appropriate boots. – Mandatory protection: gum shield, shin guards, groin guard, chest guard (female). – Safe and appropriate clothing. – Athletes should complete a medical check in their country or club or origin. – We recommend you consult a doctor or physician if you are in any doubt as to your medical suitability for the event. – Whilst this is an Assaut competition, injuries do happen and while the organiser takes every care to reduce this risk, be aware that this is a contact sport. Please respect all the safety advice given by officials and marshals on the day. – Athletes from within the EU are advised to bring their EHIC insurance card. – Travel and medical insurance is the responsibility of each athlete.